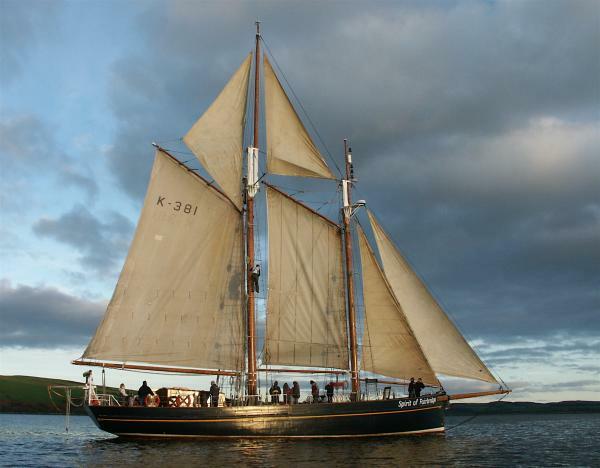 This week, for a change, I had a glorious opportunity to assist with delivery of an intervention, as a volunteer watchleader on Spirit of Fairbridge, the Prince’s Trust 92’ sail training schooner. The Fairbridge programme works with young people aged 13-25, helping them to develop the motivation, self confidence and skills they need to change their lives. It was a real privilege to blast down the Irish Sea, working alongside such talented professionals and motivated and valiant young people.